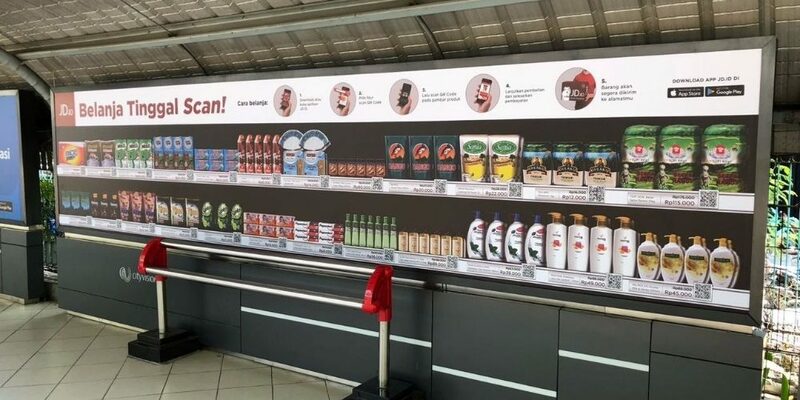 JD.id launched nine virtual shopping kiosks at busy commuter train stations around Jakarta. Kiosk may not even be the right term. It’s a digital billboard that shows products that each have a corresponding QR code. You can scan the code and make an online purchase that’s later delivered to your home. 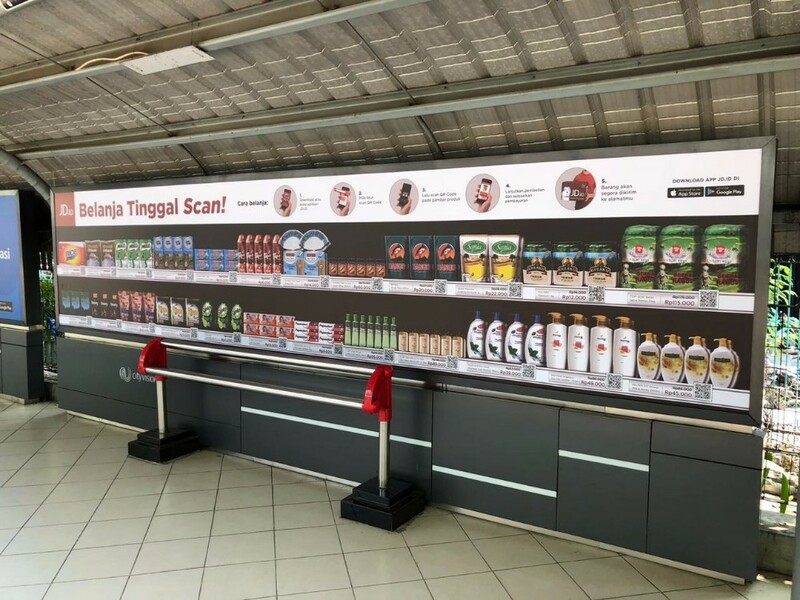 According to local media reports, the nine stations outfitted with this futuristic shopping experience are Jakarta Kota, Sudirman, Sudimara, Juanda, Gondangdia, Cikini, Tebet, Pasar Minggu, and Depok Baru. Those are all busy transit areas with the exception of Depok Baru, which is further outside of the city near a large university. — JD seems committed to impressing Indonesians with the futuristic “new retail” shopping concept its already famous for. The Chinese ecommerce firm opened an unmanned retail store in one of Jakarta’s upscale malls not long ago. — In a country that by no means suffers from a shortage of cheap labor, unmanned retail stores don’t make all that much sense. This kiosk solution however, by creating an interaction between the online and offline worlds of commuters, is a well-thought-out campaign. — JD.id isn’t as popular among Indonesian online shoppers as the much more established Lazada or Tokopedia, but a recent survey by market research firm ecommerceIQ shows that it already has a good reputation in particular for delivering authentic products. It’s also got a foot in groceries deliveries, a shopping category well suited for buying on the go.